Canoeing hardly gets the same attention-grabbing headlines as kayaking and paddleboarding these days. But take the time to slip a canoe into the Hudson River on a gorgeous fall day, and you can paddle right up to some of richest wilderness habitats in the Hudson Valley region. 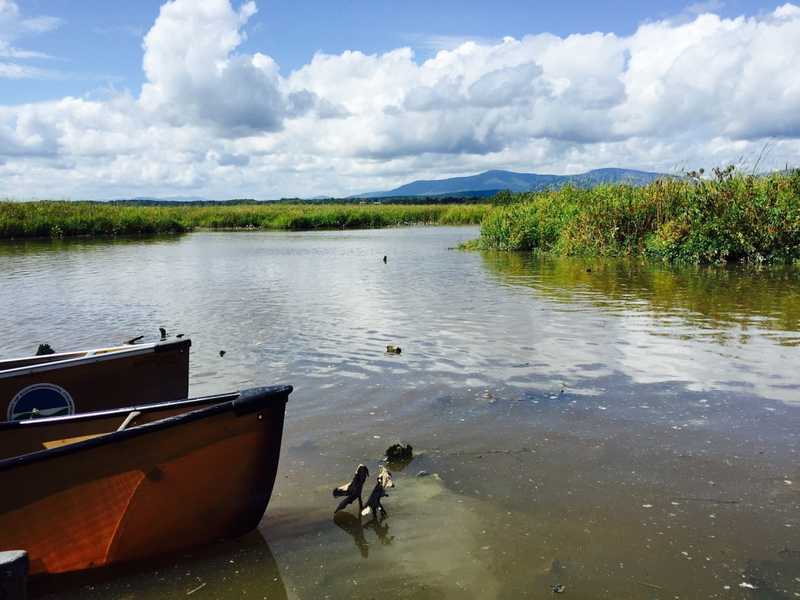 If it's been awhile since you've explored wetlands and tidal basins, or if you’ve never seen bank swallows or beaver dams, you'll have an up-close view when you take a canoe out to one of these great spots along the Hudson River Estuary. It even has a bit of a primitive vibe as you wind your way through the waterways, making you feel a little like an old world explorer. From New York City, it is about a two hour drive directly north to this freshwater tidal wetland that lies on the east shore of the Hudson River. Tivoli Bay cradles a two mile stretch of coves and tidal basins and offers a glorious peek at the Catskills. The beaver dams, with their massive piles of logs and twigs scattered within the marshes, are fascinating to witness, especially for children. And the stories about five-plus foot sturgeons that used to swim in these waters is sufficiently shocking. Sturgeon, now a protected fish, are making a comeback, so beware. 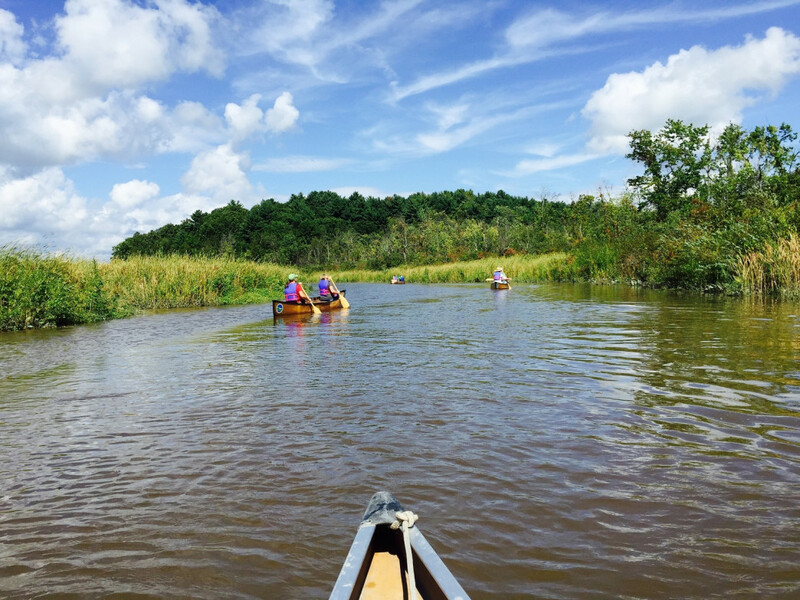 With distant views of rolling blue mountains, gentle quacking from nearby ducks, and the droning of insects in the muddy reeds, paddling through Tivoli Bay is an memorable experience for the senses. The water in the tidal basin is incredibly calm, which makes it an easy paddle. You can explore Tivoli Bay north and south, and then venture as far into the Hudson River as you want or time permits. The canoe and kayak launch is open to the public from spring through fall. Just a little further north of Tivoli Bay, and about 25 miles south of Albany, is Stockport Flats near Stockport, NY. Much like Tivoli Bay, beavers are a major attraction in these freshwater tidal wetland waters, which are located toward the northern end of the Hudson River Estuary. With a canoe you’ll also have access to Hudson River Islands State Park which actually sits on two islands: Gay's Point and Stockport Middle Ground. You can even take a canoe break and dive in for a swim from the sandy beaches. If fall foliage views are what you have in mind, you’ll want to take a canoe tour around Bear Mountain and Iona Island, which sit in the heart of Bear Mountain State Park . 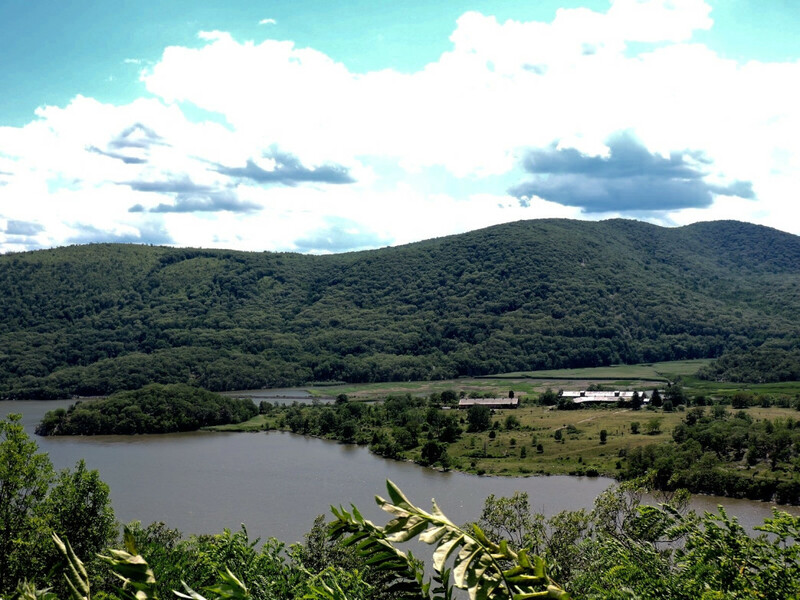 From a canoe you will feel mighty small in the shadows of the area's mountains—Dunderberg, Bald, West, and Manitou—that tower above you alongside the Hudson River. Less than an hour north of the city, Iona Island has a fascinating history. The 556-acre island is one of the largest tidal wetlands. It sits in Bear Mountain State Park on the western shore of the Hudson River. A one-time resort and former Navy munitions site. It's now a bald eagle sanctuary, so keep an eye towards the sky. While the island’s grounds are closed to hikers and its marshes closed to paddlers except for a bunch of guided tours a year, you can still get a good view while paddling along on your canoe perch in the Hudson River. There are access points for canoes in Bear Mountain, as well as Annsville Paddlesport Center in Peekskill, N.Y. From Peekskill, which is on the western side of the Hudson River, you’ll need to paddle a few miles north to get a view of Iona, but it’s worth the workout. If you aren’t ready to jump into the Hudson and go exploring on your own, there are companies that will take you out on tours and provide rentals. Hudson River Expeditions in Cold Spring, N.Y. rents canoes ($40 for the first hour, $60 for two hours).